Sarsaparilla is a classic American infusion traditionally made from birch bark and sassafras root. 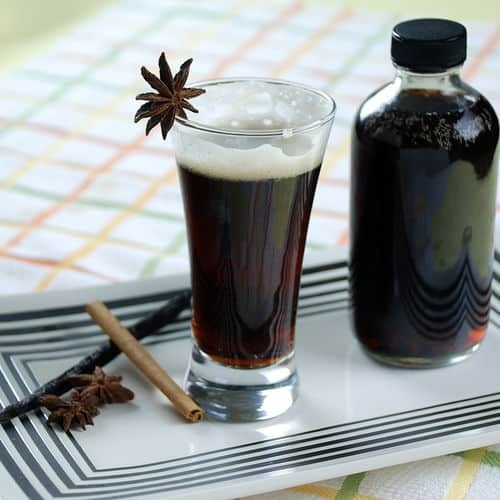 Other countries use different flavor profiles in their sarsaparilla and many are made from sarsaparilla root with a backdrop of licorice and vanilla, which is the direction this recipe takes. Some of the ingredients can be hard to find but I list several websites in the Ingredient and Tool Sources section that can provide them. This recipe makes a thick, sweet syrup you can mix with club soda, use in cocktails, or naturally ferment (see recipes in Sodas, Shrubs, and Fizzes section in book). Sometimes I will leave out the brown sugar so I can enjoy the infusion without all the additional sugar. It can be served with club soda or as a way to add complexity to cocktails that don't need more sweetness. If you would like more information about the modernist techniques, ingredients, and equipment used in the sarsaparilla syrup infusion recipe you can check out the following. Combine all of the ingredients in a sous vide bag or Mason jar then seal. Infuse in the water bath for 2 to 4 hours. Prepare an ice bath with 1/2 ice and 1/2 water. Remove the bag or Mason jar from the water bath and place in the ice bath for 15 to 20 minutes. Strain the infusion and store in a sealed container. It will last for several weeks in the refrigerator. 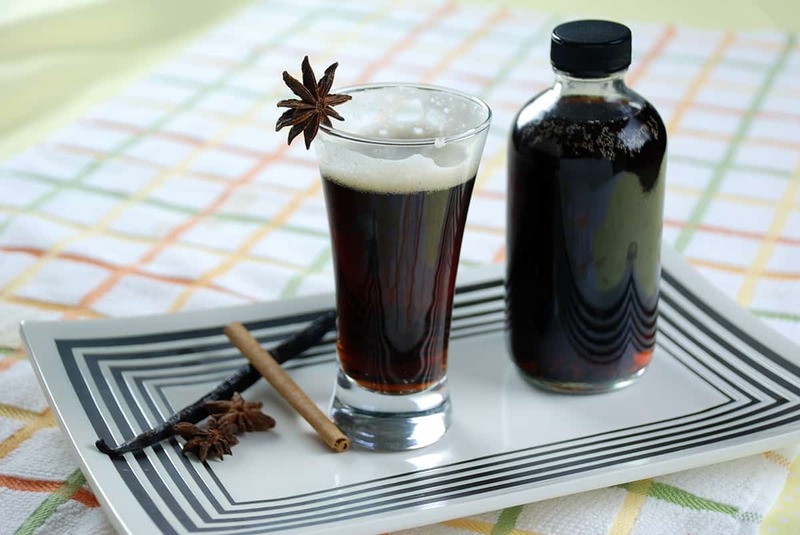 This infused syrup is made from sarsaparilla root with a backdrop of licorice and vanilla. This recipe makes a thick, sweet syrup you can mix with club soda, use in cocktails or naturally ferment.